It is not always easy to combine business with pleasure. The services of business travel activity happen to be of the most sensitive nature within the tourist sector. Accordingly, in addition to the infrastructure already in place, the development of this form of tourism mainly relies on the human resources operating in the business travel sector. Local Convention and Visitor Bureaus (CVBs) are one of the best resources to find up-to-date information on sightseeing, attractions, hotels, restaurants, scheduled events such as festivals and sporting events, as well as conventions. CVBs are not-for-profit organizations charged with representing a specific destination and helping the long-term development of communities through a travel and tourism strategy. Usually membership organizations, the CVBs bring together businesses of the tourist sector. Offering unbiased information about a destination’s services and facilities, CVBs serve as a broker or an official point of contact for convention and meeting planners, tour operators and visitors. They provide a full range of information about a destination, saving visitors time and energy. Most services provided by CVBs cost nothing. There are a few CVBs in operation in Greece. The Thessaloniki Convention & Visitors Bureau – better known as the TCVB – was the first of its kind in Greece. Founded in February 2000, it operates as a not-for-profit organization, consisting and supported by a number of members drawn from the city’s enterprises active in the conference tourism sector. Aiming to establish the port-city of Thessaloniki – second largest city in Greece – as an internationally recognized conference and incentive destination, the TCVB offers useful information regarding the city and its potential for hosting major international events. Furthermore, the Bureau’s website functions as a visitor’s guide to the city, highlighting its special characteristics and a variety of attractions. The newly established Athens Convention Bureau (ACB) is a division of the Athens Tourism & Economic Development Company, the Greek capital’s official tourism board. 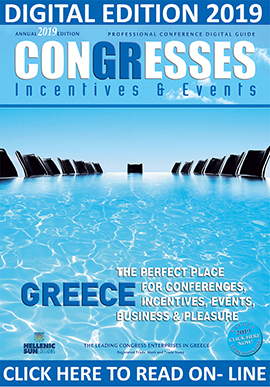 The ACB’s mission is to make Athens the destination of choice for conventions, conferences, meetings and incentives. CVBs have also been recently established on the islands of Crete and Rhodes. At each Bureau a team of dedicated professionals are at clients’ disposal to offer them a total event solution service, quickly and efficiently. They offer, free of charge, impartial advice and assistance in organizing conferences, corporate meetings and incentive trips to the respective areas. They provide meeting planners with information and advice regarding conference facilities, accommodation, local organizers and support services; they offer advice, support and site inspections; provide official support to bid proposals; provide information on facilities, venues and services, as well as web services; provide promotional material for their respective areas, and they work closely with all public and private institutions to ensure that visitors are offered a memorable experience. And all that at no cost!